Cologne - It took Andre Schürrle all of two minutes and a few seconds to announce his return to the Bundesliga with a bang. VfL Wolfsburg's new star signing planted a ball from the left into the path of Bas Dost and the in-form Dutch striker duly dispatched it to get the hosts off to a flier against 1899 Hoffenheim on Matchday 20. Before the half-hour mark, Schürrle had cracked a shot against the bar for Kevin De Bruyne to slot home on the rebound, putting the Wolves firmly in the driving seat. Hoffenheim's subsequent attempts to regain a foothold in the contest proved in vain and Schürrle broke up one of them on 84 minutes, instigating the move that led to De Bruyne icing the cake in high style. 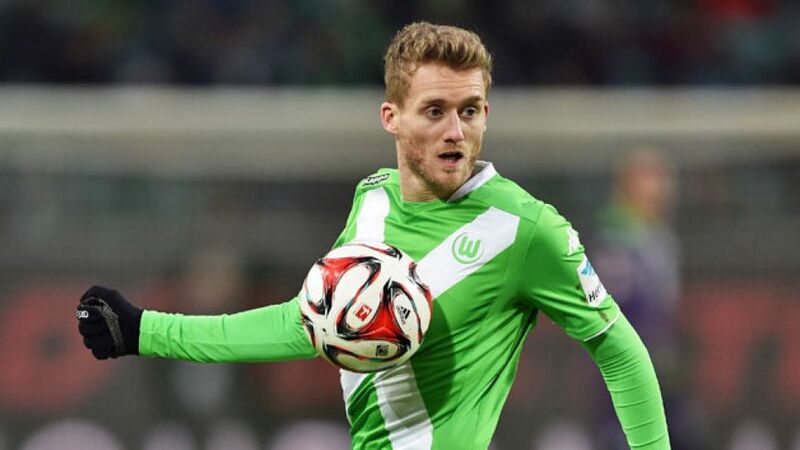 Intriguingly, Schürrle's first road trip with Wolfsburg takes him to one of those ex-clubs - Bayer 04 Leverkusen. Having shot to prominence with 1. FSV Mainz 05, he joined the Werkself in the summer of 2011 and spent two successful seasons there before moving on to the English Premier League and Chelsea. Bayer themselves have enjoyed mixed fortunes so far in 2015, somewhat indicative of their season as a whole, but whatever the final outcome, their high-intensity, high-pressing style under Roger Schmidt certainly tends to make for games that are anything but dull. Schmidt's latter-day Leverkusen, by the by, also look like a pretty good fit for the tireless, turbo-charge Schürrle. The Ludwigshafen native is, however, as “delighted” to be plying his trade for Wolfsburg now as he is to be back in the Bundesliga per se, not least with the Lower Saxony outfit finally on the brink of a return to the heights they have aspired to ever since winning their debut Bundesliga title in 2008/09. That may itself admittedly prove a step too far this time around, given Bayern's still-considerable points advantage and undoubted class - even if the Wolves do have more points (41), more goals for (also 41) and fewer against (19) than ever before at the 20-game juncture. Nobody is talking titles anyway at Wolfsburg, at least for the time being. A return to Europe's top club tournament would do nicely for starters and with Schürrle adding his considerable presence to a star-studded line-up headed by the irrepressible De Bruyne, that is looking increasingly likely with each passing matchday. The next one brings the challenge of that trip to Schürrle's old stomping ground for a meeting with one of their direct rivals. Another positive outcome there and the Wolves will have their hosts at least metaphorically howling.